What a great way to finish a fantastic week! Thank you to all the students and teachers who made an effort to dress up as a literary character. There was so much colour and creativity in the library on Friday. My vote for the most original goes to Mr Richard Edge who dressed as Mr Blair Mahoney (of ‘Poetry Remastered’ and ‘Poetry Reloaded’ fame). Thanks to Mr Marcus Sharp for judging the costumes. The library came to life in the most enjoyable way. We look forward to next year when more literary characters will step out of a book and into our library. How many characters and corresponding books can you guess? MHS old boy Jon Faine returned to the school on Tuesday to talk to the Year 10 students. He doesn’t generally give school talks anymore but made an exception for us. 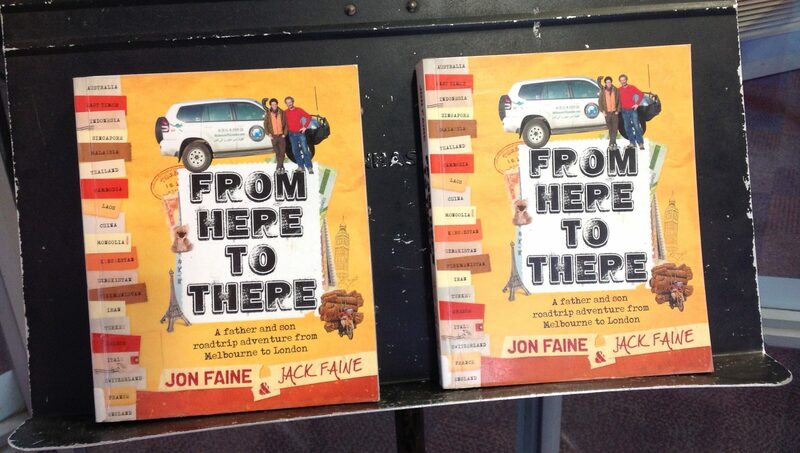 He focused mainly on his travel memoir From Here to There, co-written with his son Jack, which relates the story of their drive from Melbourne to London. Jon kept the students transfixed with tales of his adventure and they had plenty of questions about it at the end. He also talked about his time at the school and his subsequent career as a lawyer and in radio broadcasting. A key message he had for the students was not to be too narrowly focused in their studies and to recognise the importance of telling a story no matter what profession they are planning to go into. The story continues….. On 774 ABC Melbourne the morning following his visit, Jon recounted his visit to MHS. We’d presented him with a book on English industrial history as he’d been the last borrower of this volume in 1974. He also recounted visiting his Vietnamese mechanic on the way home. The mechanic told him his son had attended Jon’s talk. The next generation of diverse students continue to attend MHS. Thank you Jon for returning to MHS and sharing your story, and to Blair for organising our Literature Festival guest speakers. They provided us with wonderful insight into the literary world. 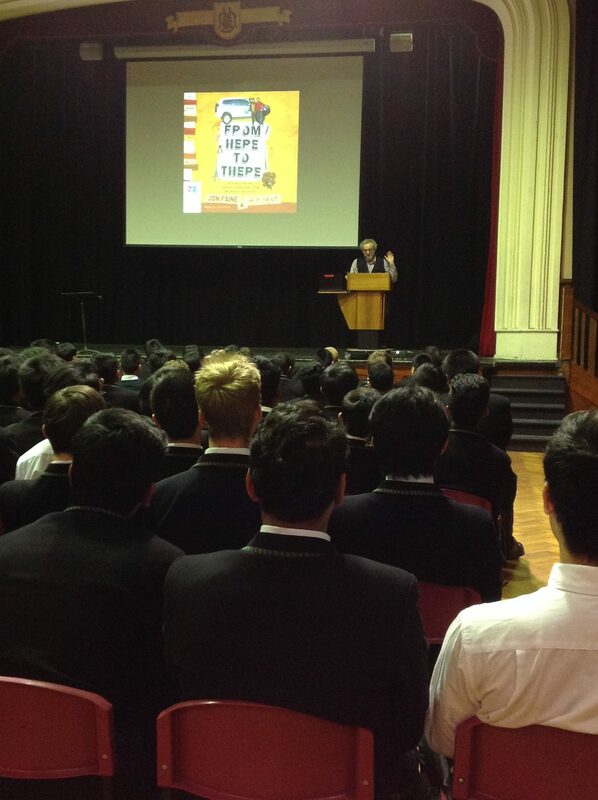 As part of Book Week this year, we had novelists Lucy Treloar and Tony Birch visit to talk to the Year 11s. 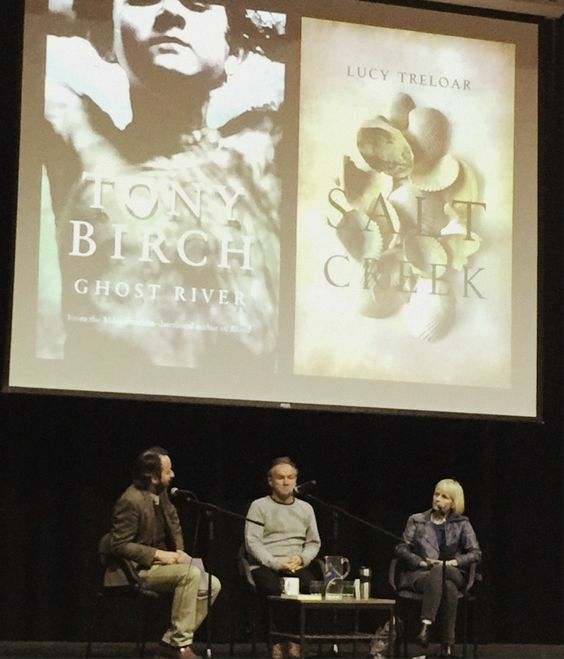 Tony made the long list for this year’s Miles Franklin Award for his new novel Ghost River and Lucy is the on the shortlist for her debut novel, Salt Creek, with the winner announced on Friday. Tony made the shortlist with his previous novel, Blood. When asked about the importance of prizes Lucy said she was a bit conflicted and tried not to attach too much importance to them, saying the winner was often a bit of a lottery. Tony, who pointed out he had been on shortlists for eight different prizes, agreed, saying he thought novels that were far superior sometimes weren’t even nominated for prizes. Both writers talked about their paths to becoming writers, which took some time, with both raising families and working in other jobs before publishing their first works. The students were interested in Tony’s account of being expelled from two different schools and finishing his education at night school years later before going on to complete a PhD and becoming an academic. They discussed the importance of telling the stories of Aboriginal and Torres Strait Islander people in Australian fiction and Lucy talked about her concern to get that right in Salt Creek in particular. Tony is of Koori heritage himself and says he often thinks of characters as Aboriginal but doesn’t necessarily identify them as such in his novels. Both writers were engaging and generous with their replies, giving the students plenty to think about. The Year 9 students were privileged to see guest speaker Samhita Arni this week as part of our annual Book Week Literature Festival. 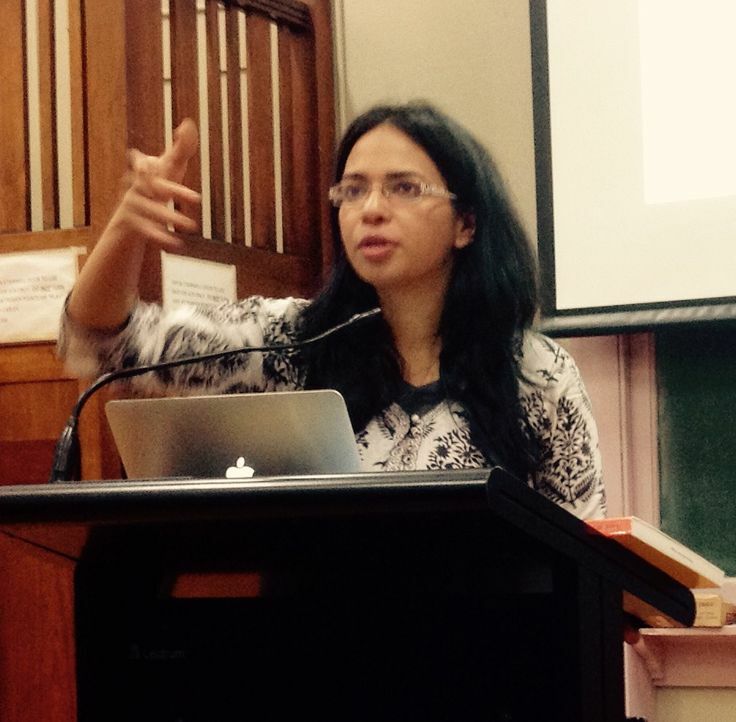 Samhita was visiting Australia for the Melbourne Writers Festival and we were very lucky that she had time to come to MHS as well. 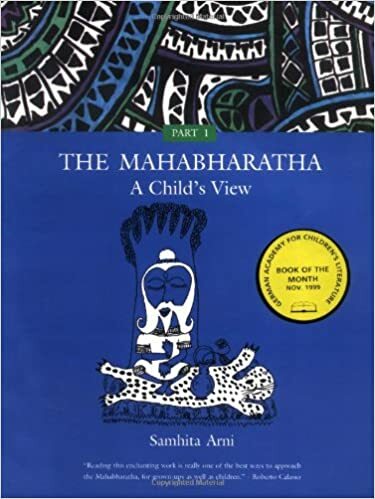 She talked to the students about her books, including The Mahabharata: A Child’s View (published when she was just 11 years old; she said that opportunity for publication just arose through luck). 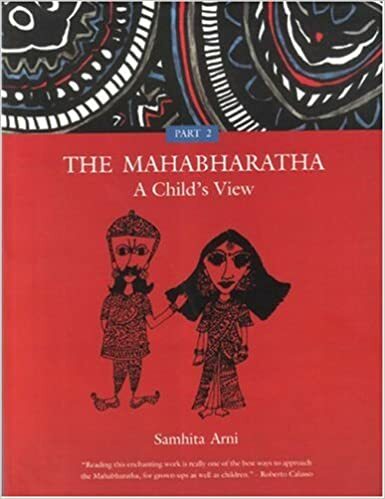 She said that her first book arose out of her voracious reading and love of mythology combined with the loneliness she felt after moving back to India after living in Pakistan. 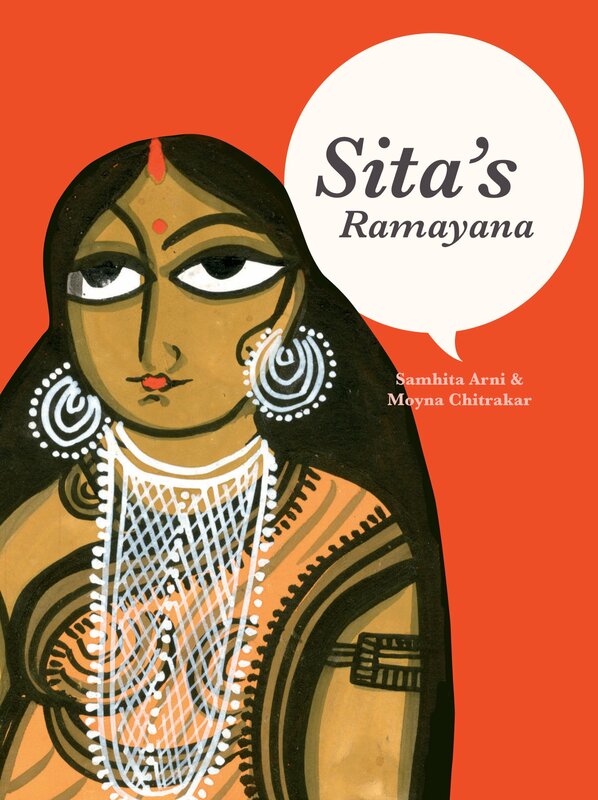 She showed some of the beautiful images in her bestselling graphic novel Sita’s Ramayana(illustrated by Moyna Chitrakar) and explained the historical background behind retellings of this Indian epic from a woman’s point of view as well as the implications of the renewed reverence for the story in modern India. She also talked about her most recent novel, The Missing Queen, which is another retelling of the Ramayana, this time in the form of a thriller set in the modern world. 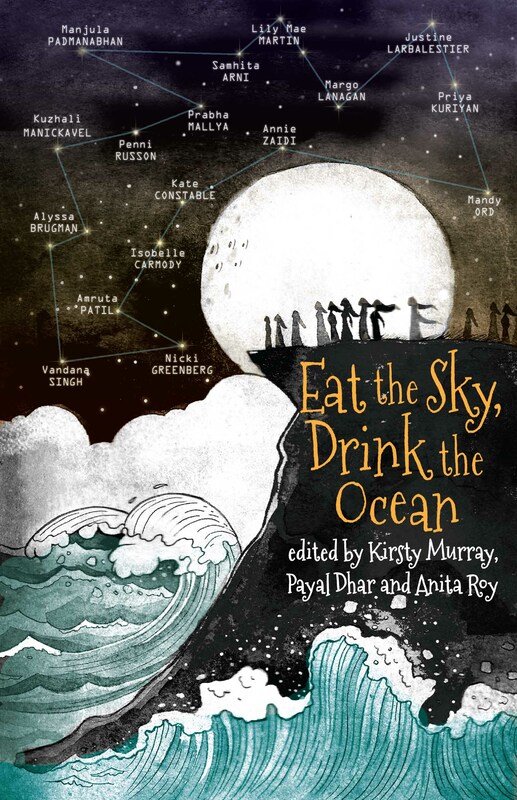 Other projects she mentioned included her participation in the cross-country anthology Eat the Sky, Drink the Ocean, and her online project, Out of Print, which provides a platform for writing about sexual violence in South Asia.